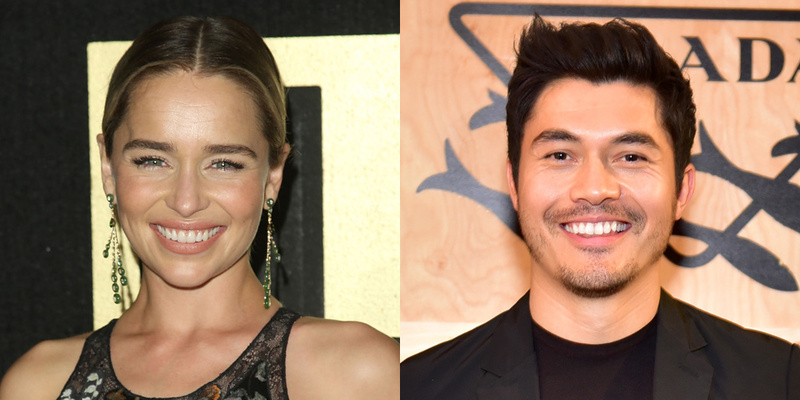 THR is reporting Emilia Clarke (Game of Thrones) and Henry Golding (Crazy Rich Asians) are ready for a little holiday romance. The pair are set to star in Universal's Last Christmas. Paul Feig, whose latest film A Simple Favor opened in theaters on Sept. 14, will direct the project, which reunites him with Golding, who stars in A Simple Favor. Clarke plays Daenerys Targaryen on the HBO hit series Game of Thrones, which won the Emmy for best drama on Monday, and will wrap up with its eighth season in 2019. She most recently was seen on the big screen in Solo: A Star Wars Story, and has previously shown off her skills in a romance film with 2016's Me Before You. Golding's first-ever feature film role was the lead in Crazy Rich Asians, which has skyrocketed him to leading-man status after the Warner Bros.' hit romantic comedy was No. 1 for three weeks in a row to become the top-grossing comedy at the domestic box office in the last two two years. The actor also stars opposite Blake Lively and Anna Kendrick in Feig's A Simple Favor (which earned $16 million in its domestic debut), and he also has shot the indie Monsoon.